Buy, sell, or hold? We examine the assets of seven celebrity chefs. 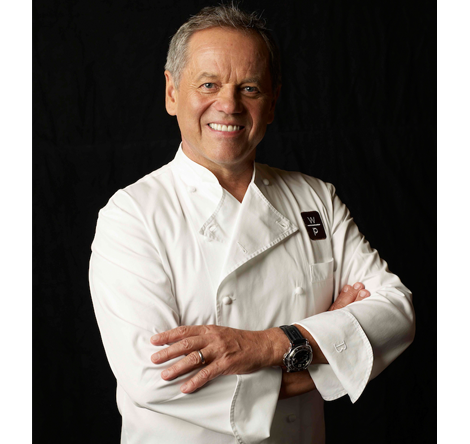 Here are just some of the responsibilities of the celebrity chef of 2014: Starring in top-rated televisions programs, managing charitable foundations, penning best-selling cookbooks, and overseeing an ever-expanding international portfolio of restaurants. The concept of “celebrity chef” is nothing new, but prerequisites for the title have evolved—and demonstrably expanded. It’s no longer enough to be a proprietor of several critically acclaimed restaurants (critical appreciation being but one small part of a very big puzzle); today’s celebrity chef is the face and the force of a global megabrand, one that markets everything from artisanal burgers to ironclad cookware. Given that being a celeb chef is big business, we examined the various assets of seven celebrity chefs and have our take—buy, sell, or hold—on their stock. Signature expression? : None, really—but known for eloquence with expletives. TV show? : Yes, and he’s frightening in them. 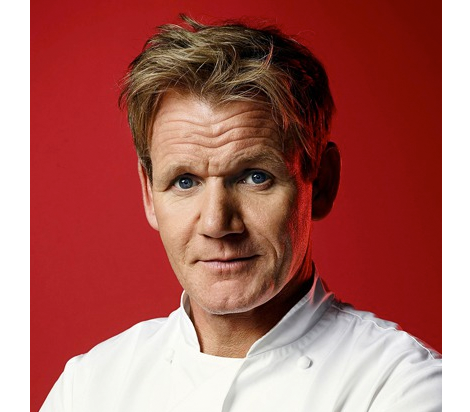 Hell’s Kitchen, Kitchen Nightmares, The F Word, MasterChef & MasterChef Jr, and Hotel Hell, to name just a few of his United States programs. Line of products? : The Maze Dinnerware Collection with WWRD (Waterford, Wedgwood, Royal Doulton). Unsurprisingly, a partnership with Kmart ended poorly. Foundation or charitable organization? : Gordon Ramsay Foundation, which supports Cancer Research UK, Scottish Spina Bifida Association, Action Against Hunger, and other organizations of interest. TV show? : Yes. 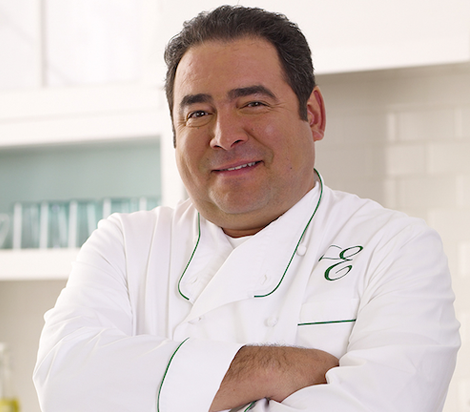 Several throughout his career, including the Food Network classics Essence of Emeril and Emeril Live! (he was one of the network’s first stars). Lately, Emeril’s Florida, The Originals, and Fresh Food Fast. Product line? : Yes, his own line of cookware, small appliances, and gourmet food items (such as his famous Essence seasoning blend). Foundation or charitable organization? : Yes, the Emeril Lagasse Foundation, which strives to create new opportunities for disadvantaged children. Defining moment: Winning Next Food Network Star in 2006. TV show? 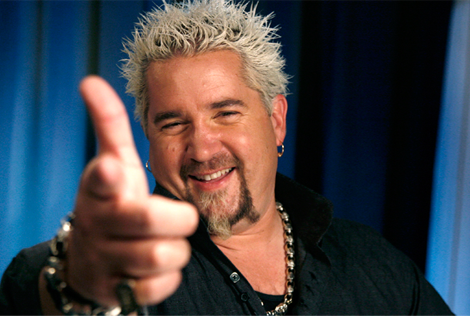 : TV is where Guy’s star shine’s brightest, with shows like Diners, Drive-Ins, & Dives winning legions of cult followers (tip: watch on mute). Also, Guy’s Big Bite and Guy’s Grocery Games. Airport restaurant? : No. But does have a chain on Carnival Cruises, home of the Norovirus. Product line? : Yes, a line of kitchenware, cookware, and pantry items (the best his Knuckle Sandwich knife set). Notably, he’s launching a jewelry collaboration with lifestyle brand Room101, which features takes on Fieri’s signature “bling,” such as stainless-steel dog tag necklaces, cufflinks, chain link bracelets, etc. Foundation or charitable organization? : The CWK Foundation, which encourages kids to learn how to cook at an early age. Defining moment: Receiving his first two Michelin stars for Spago in 2008. TV show? : You bet. Of his own, Wolfgang Puck and Wolfgang Puck’s Cooking Class. He has also appeared on Iron Chef America, Top Chef, and Hell’s Kitchen. Airport restaurant? : Yes. Wolfgang Express in 13 airports across the U.S. Product line? : A veritable empire of cookware and kitchen products, plus gourmet foods, including frozen versions of his signature pizzas. Foundation or charitable organization? : Involved in a variety of charities, most notably running the WELL (Wolfgang’s Eat, Love, Live)™ program, which encourages the consumption of local, sustainable, and organic food choices. TV show? 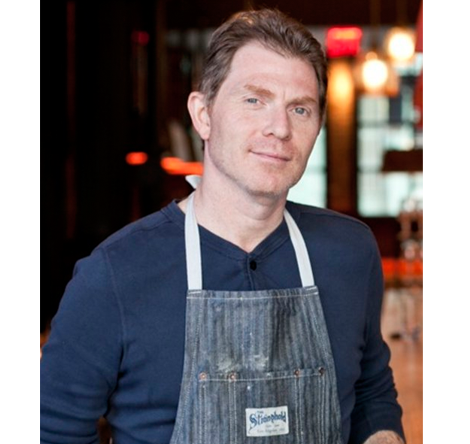 : Yes, Flay holds an impressive roster of TV shows (15 total past and present), most notably Throwdown with Bobby Flay, Worst Cooks in America, Bobby Flay’s Barbecue Addiction. He’s also had a couple of memorable appearances on Iron Chef America. Foundation or charitable organization? : No, although he is actively involved in charity work. Signature expression? : No. Well, maybe something with “molto”? TV show? : Yes, most notably Molto Mario, Spain…On the Road Again, and The Chew. Product line? : Yes. Along with the (now seemingly requisite) line of kitchenware and cookware, he’s also collaborated with Crocs to produce his signature work shoes. Foundation or charitable organization? 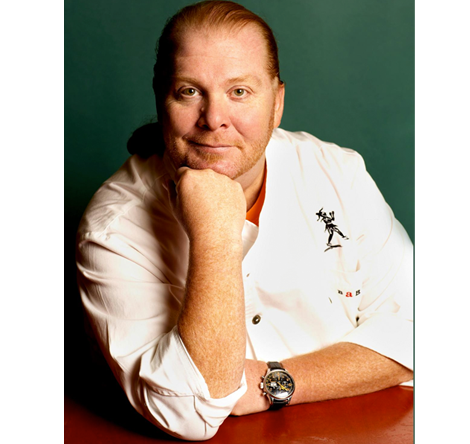 : Yes, The Mario Batali Foundation, which focuses on children’s aid in the areas of health, wellness, and education. TV show? : Yes. 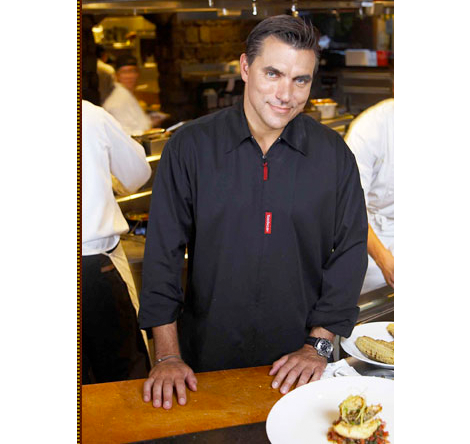 Food Trip with Todd English on PBS. Product line? : Yes, a line of cookware available at HSN.com. Foundation or charitable organization? : No, although he’s apparently focusing more on charity work after a DWI arrest and rehab stint this summer.